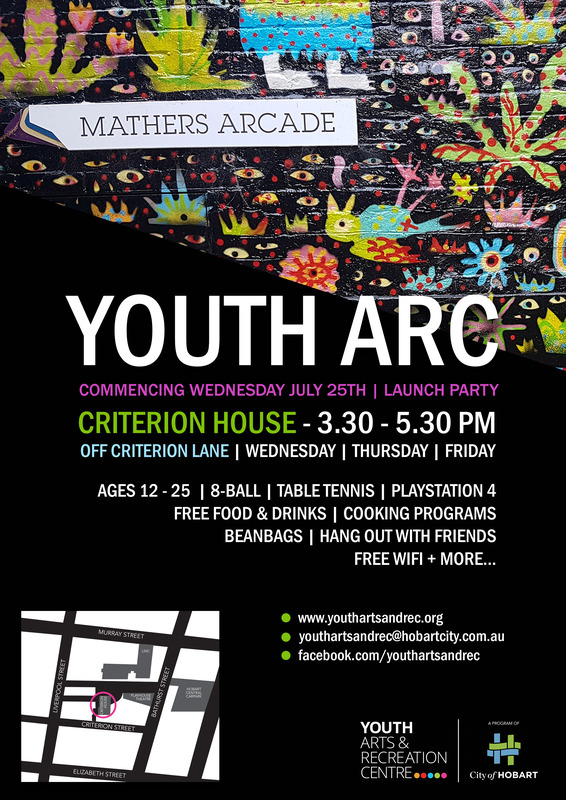 While the Youth Arts & Recreation Centre is being rebuilt at 44 Collins Street our main drop in program “OPEN ACCESS” runs every Wednesday, Thursday and Friday from 3.30 – 5.30 pm. 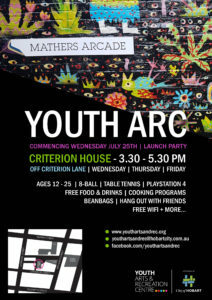 Our OPEN ACCESS Program runs from Criterion House in Mathers Lane, Hobart for young people aged 12-25. Come in and hang out after school!